Recently we were contacted by reader Sandra Elson, who wanted to tell us about Cardiff’s answer to Riverdance! She’s written a piece about the Irish dancing school and competition that takes place in Ely. Read on! It’s been 20 years since Riverdance hit our screens and became an overnight Irish dancing phenomenon. 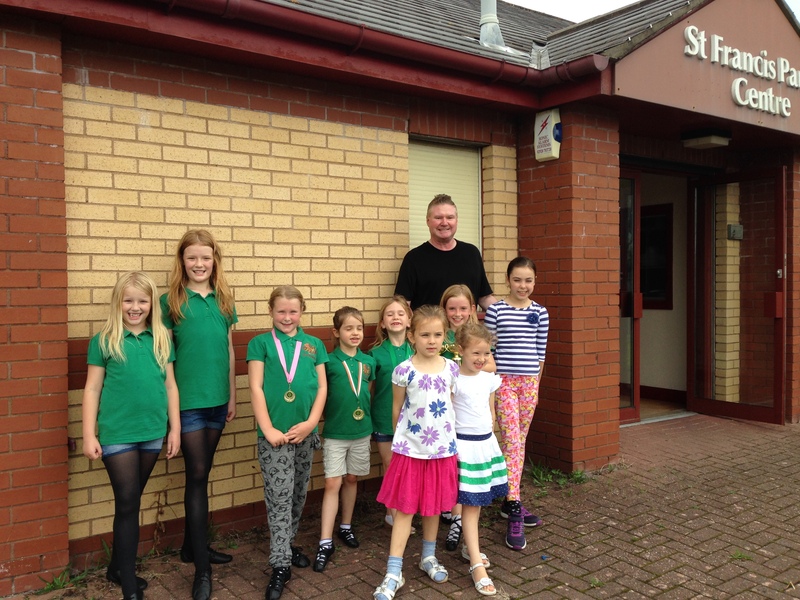 However for over 30 years one Cardiff dweller, James Smith – originally from Belfast, has taught the children of the city the complex art of Irish Dancing. 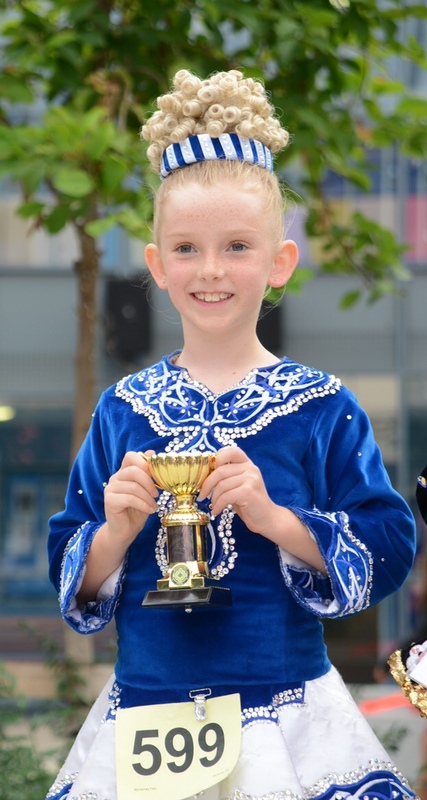 The annual class feis (competition) of the Smith Academy of Irish dancing (Scoil Rince Gaelacha Macgabhan) was held recently in St Francis Parish Hall, Ely. It was a truly multi-generational family event. Amongst the supporting crowd of the little Flatleys of tomorrow, were three mums who were actually ex pupils of the Academy. The family theme continued through the competition as there were six sets of siblings dancing. Most of whom were competing against each other which put a new emphasis on sibling rivalry! Adding to the connections the adjudicator, Mrs V O’Connor was James Smiths ex-Irish dancing teacher from his childhood who flew over especially to judge the competition from Belfast. The music streamed out as the newest members of the class practiced their hops, the more advanced ones lined up to show off their leaps and jumps, and the little experts in-between showed off their skills with cheeky grins and glitzy costumes. Cups were won and medals were awarded meaning that in a little corner of Cardiff, Irish eyes were definitely smiling. 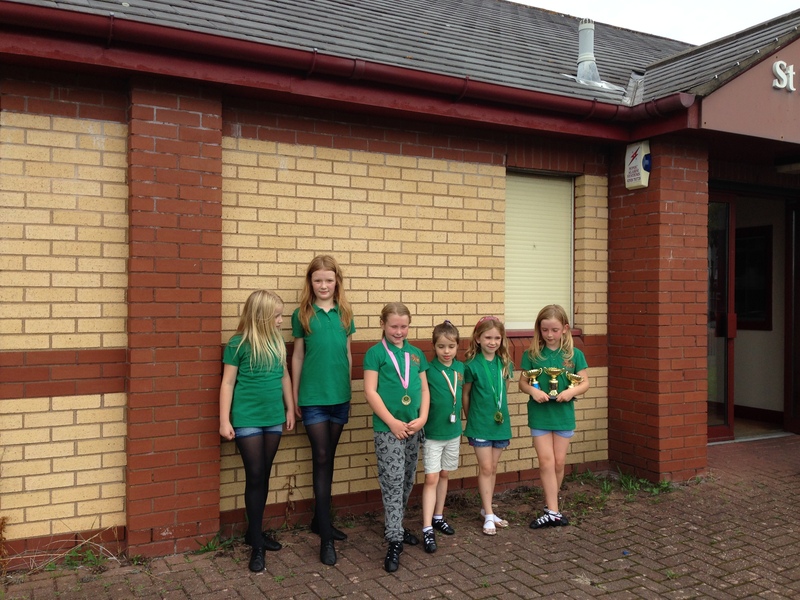 These young Cardiffians will be competing against dancers from all over the UK and Ireland in Swindon, London, Coventry and Kettering in the next few months. Q. What’s your Cardiff history? A. I am Cardiff born and bred – I was raised in Ely, now live in North Cardiff. Q. What’s your favourite part of Cardiff? A. Bute Park, Cardiff castle and Cardiff Bay. Q. What do you think makes Irish dancing so popular? A. My two daughters attend lessons and compete in Irish dancing competitions. It’s good for children physically, cognitively and emotionally; i.e. the exercise, learning the steps, competing and having fun with friends. Q. Do you think Cardiff is a good city to live in if you have a family? A. Yes Cardiff has lots of parks and open spaces; it also offers full range of clubs and activities to suit all families. It’s also close to wonderful scenery, both sea-side and mountains, for exploring further afield. Q. If you had some friends coming to visit Cardiff for the weekend, where would you take them? what would you do? A. That depends who it is – shopping in town if it’s my choice!